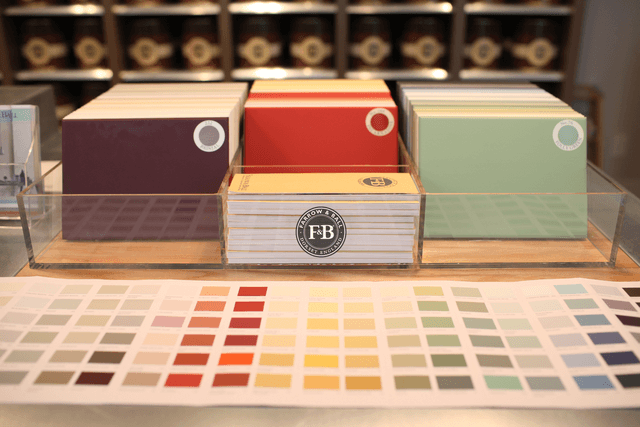 At Farrow & Ball we are devoted to producing unparalleled paints and wallpapers that transform homes around the world. We are paint perfectionists, creating unmatched paint colours using only the finest ingredients and age-old methods which have withstood the test of time and the passage of many a fickle fad. We also make handcrafted wallpaper created using our own paints to print designs onto paper using traditional block and trough printing methods, which is what gives them their uniquely beautiful texture. 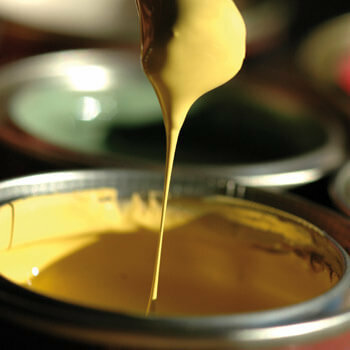 Our meticulous approach to producing paint and wallpaper is rooted in our past. 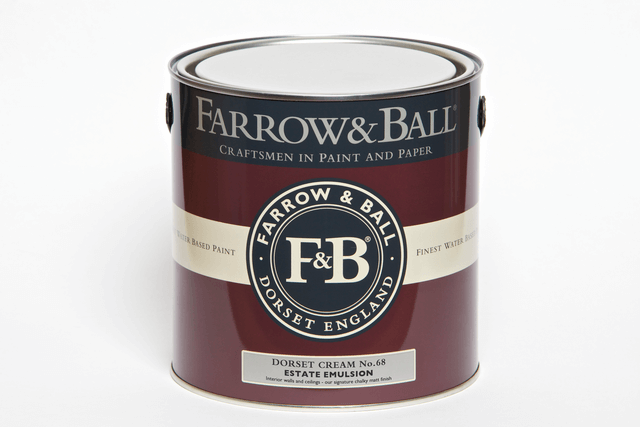 Farrow & Ball paints are born and bred in Dorset, England, in the same small town we've resided in since John Farrow, and fellow paint pioneer Richard Ball first founded the company. From small beginnings their reputation for quality quickly spread until the pair were supplying paint to the Admiralty and the War Office. The company bucked the trend towards cheaper, acrylic paints with high levels of plastic, in favour of the original formulations and blend of carefully selected fine pigments and natural ingredients. Today, our quest to create unmatchable products continues. Over the years we have grown our range of paint finishes, and we've added wallpapers to our portfolio, but we've never forgotten our past. We may have over forty showrooms as far and wide as New York, Paris and London, but every batch of paint or wallpaper, however large or small, is still made in our factory in Dorset, England.